In 2017, NASA and the European Space Agency reaffirmed their determination to focus once again on human space exploration. Astronauts will go back to the Moon and fly off to Mars, but they’re not the only ones planning on rocketing off to outer space. Private space companies, such as SpaceX and Virgin Galactic, want to make all of us tag along for the ride as space tourists. Here are six space travel projects that will become a reality in our lifetime and get us that much closer to turning space into one of our many travel destinations. Elle Cer has a degree in aerospace engineering from France. She’s been passionate about space exploration since the age of seven, when she attended her first rocket launch in Cape Canaveral, Florida. She worked at Airbus Defense and Space from 2011 to 2013, where she contributed to the manufacturing of the ATV (Automated Transfer Vehicle) that supplies the International Space Station with food and science gears. 1. Take a trip to the International Space Station. Seven fortunate private explorers have already slept aboard the International Space Station. These first-ever space tourists had private company Space Adventures arrange their flights to the International Space Station on the Russian Soyuz spacecraft for them to live and work alongside professional astronauts for 10 days. However, since 2009, no new space tourists have set foot on the ISS. But this is likely to change soon. 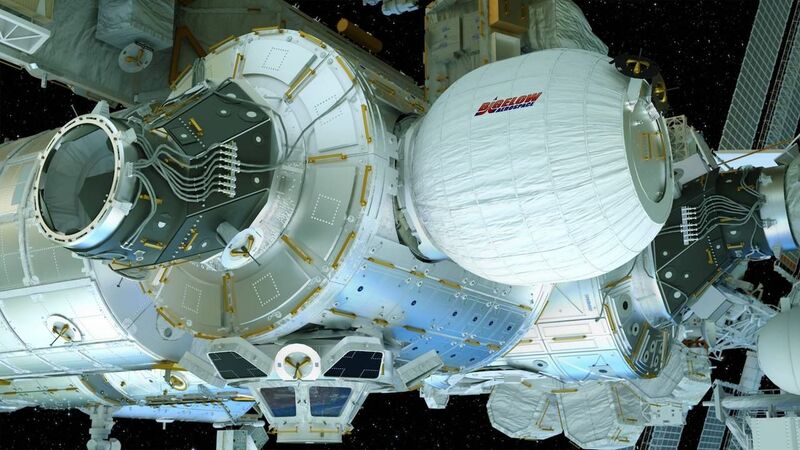 Bigelow Aerospace plans on turning part of the ISS into a destination hotel by developing the B330 spacecraft. The B330 project consists of attaching an inflatable commercial space station to the ISS, and it should become a reality in 2024 thanks to the recent launch deal made with United Launch Alliance. Bigelow Aerospace’s overall vision is to become the main stand-alone habitation system for low Earth orbit and deep space. But Bigelow Aerospace is not the only one with their eyes set on the ISS. The Russian space agency (ROSCOSMOS) is developing a five-star luxury orbital module. 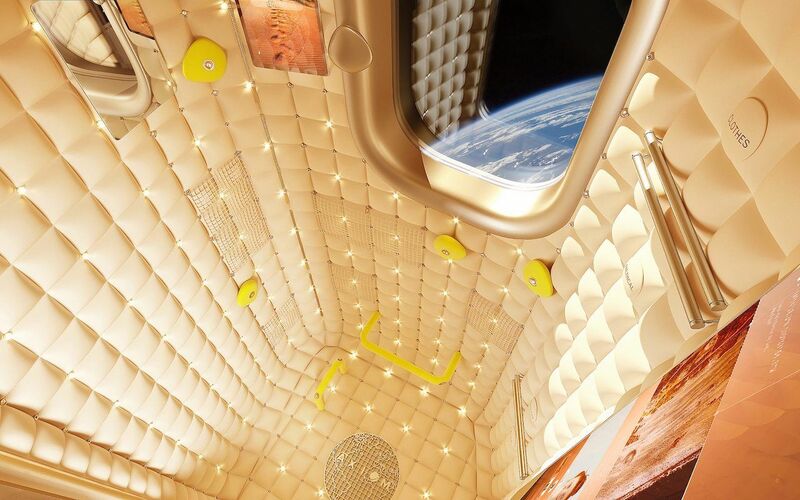 This luxury orbital suite would be attached to the ISS and be used solely for space tourism. Six tourists a year could benefit from its mesmerizing view, Wi-Fi, and gym amenities. The first module is planned to be launched in 2021. Making the ISS a tourist destination is not cheap. Only those with a $40 million travel budget will be able to spend a week in these ISS hotel rooms. 2. Hop in an “affordable” 10-minute flight into low Earth orbit. Traveling to low Earth orbit is quite straightforward: send a spaceship 50 miles up in the air with non-professional astronauts on board. For about 10 minutes, these private passengers will experience flying through space, as well as experiment with weightlessness and see the Earth from above. This suborbital tourist ride will be done through a reusable space plane, taking off from Earth and landing back horizontally just like a regular commercial aircraft. 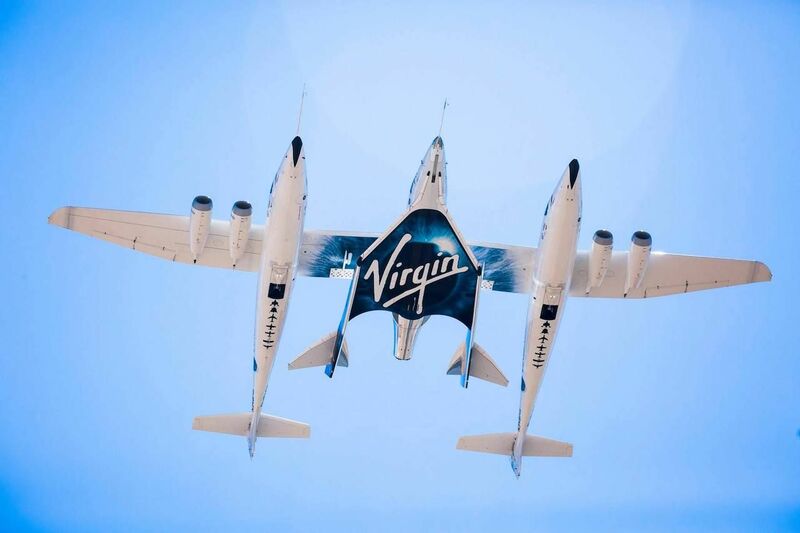 Virgin Galactic is one of the top private actors in making space accessible for everyone through suborbital flights. Its SpaceShipTwo spaceflight is well on its way to making low-Earth orbit space travels a reality. Virgin Galactic has already succeeded in reaching the altitude of 32 miles. Seven hundred space enthusiasts have already pre-booked their tickets, which cost $250,000 per person and per suborbital ride. Sir Richard Branson, founder of the company, had predicted a first commercial suborbital flight for the end of 2018, which seems to be a rather challenging deadline. 3. Live and work in the Axiom Space Station, ISS’ replacement. Although not yet fully developed, Axiom Space Station is aiming to become the successor of the International Space Station and the first commercial space station when the ISS retires in 2025. The private company wants to make living and working in space commonplace — by turning Axiom into the home of professional astronauts, as well as private explorers. The station will consist of modules linked to the International Space Station that will welcome a crew of 16 people micro-gravitating in low Earth orbit. The crew will stay in cabins designed by designer Philippe Starck, admiring the view through massive windows and sharing pictures with their loved ones via the Wi-Fi connection on the space station. As soon as 2022, space tourists will be able to stay 10 days on the station for the eye-watering cost of $55 million. 4. Take a trip from NYC to LA, through Space. The idea behind Earth-to-Earth flights is to be able to get anywhere on Earth in under an hour. This would be a revolution for airplane transportation led by the BFR reusable rocket technology from private company SpaceX. 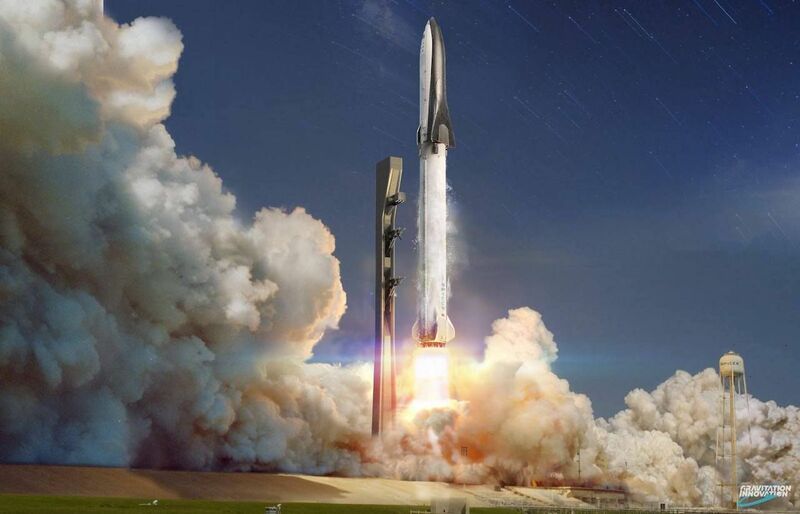 The BFR would rocket to low-Earth orbit, fly toward its destination, and come back down vertically to a dedicated spaceport, making it possible to get from New York to Los Angeles in less than 30 minutes; NYC to Shanghai in 39 minutes; and Bangkok to Dubai in 24 minutes. Today, the rocket is still at an early stage of development. SpaceX founder Elon Musk has said the prototype should be tested in 2019 — a rather optimistic deadline that would imply a first orbital test around the Earth in 2020. To go from orbital testing to full-on commercial Earth-to-Earth flights will certainly require a couple of extra decades. To see what an Earth-to-Earth flight would look like, check out this video. Note that the BFR acronym is not clearly defined. Some say it stands for Big Falcon Rocket although most like to think it means Big F*cking Rocket. 5. Fly around the Moon like it’s no biggie. 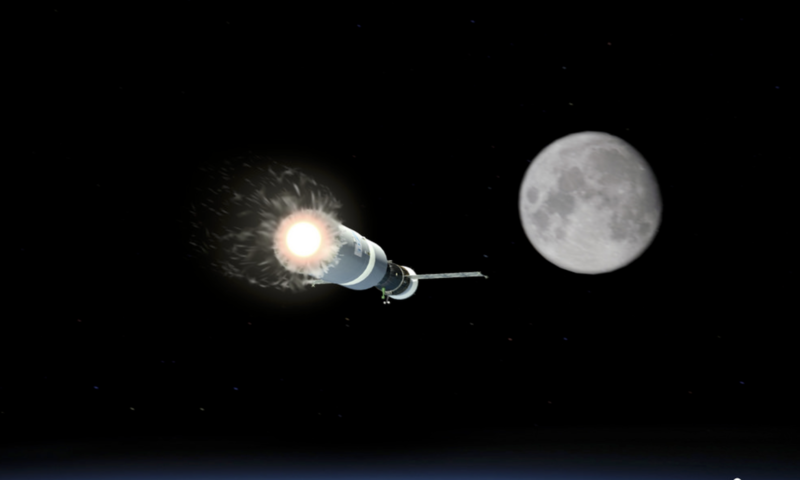 Circumlunar exploration will give space tourists access to the Moon’s vicinity. Private space operator Space Adventures’ plans are to soon offer touristronauts the possibility to fly aboard a Soyuz rocket to the International Space Station for a 10-day stay so that they can adapt to the Space Environment and to zero gravity. After completion, the private explorers will hop back onto the Soyuz spacecraft and connect with a lunar module orbiting in low-Earth orbit — thus starting their real journey to the Moon, which will last approximately six days. The first mission is expected to be launched in the early 2020s. SpaceX also plans to take part in the circumlunar journey. Two private individuals have already booked such a trip with them. The mission was due to leave by end of 2018 but has been postponed to 2019. For both providers, landing on the moon is not part of the trip. The tourists will get as close as 62 miles from the Moon’s surface, letting them join the elite club of the 24 astronauts who have left low-Earth orbit so far. The cost for this journey is still unknown. Mars is the ultimate destination. Having the first human on Mars will most likely occur in less than 10 years, and SpaceX and Boeing are competing to get there first. Public space agencies (Nasa, ESA, ROSCOSMOS, ISRO) are also working on their own technologies to fly there, although their flights would be dedicated to research and sampling only. Mars One is another private company advocating for human settlement on Mars although lack of funds might put their project in jeopardy. 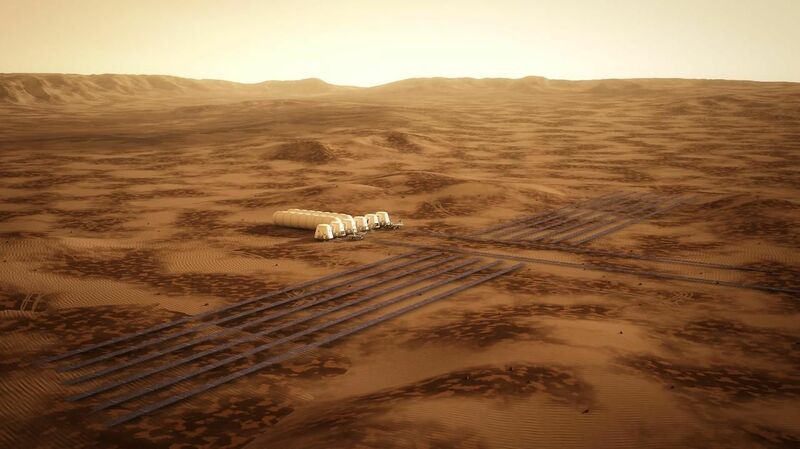 Regardless of whoever’s project gets concretized first, they’re paving the way to building a base and a self-sustaining human civilization on the red planet. We’re no longer solely talking about space tourism but about becoming full-time residents of Mars. The first unmanned mission to Mars is planned for 2022 by SpaceX. Two years later, SpaceX intends to launch their first crewed mission. Boeing claims they’ll make it first, but that remains to be seen. These first trips will certainly not include touristronauts but will be the stepping stone to frequent travels to Mars for each and every one of us in about 80 to 100 years.